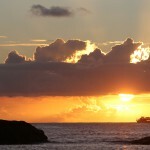 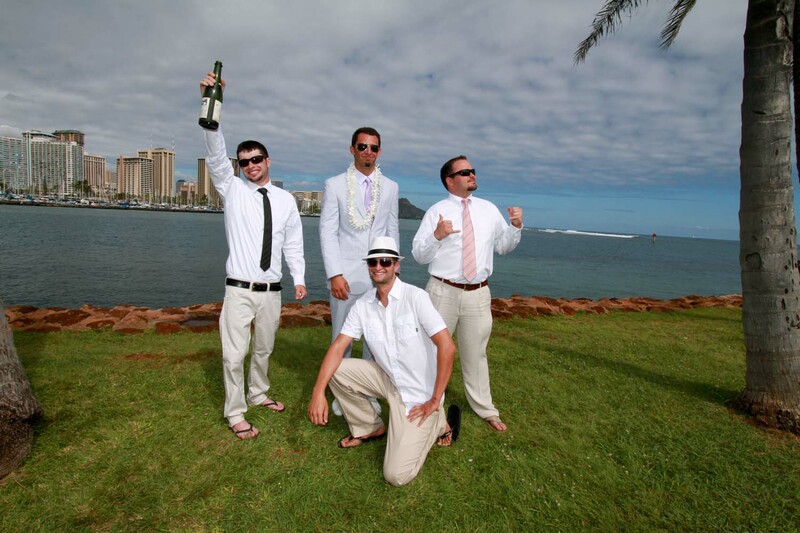 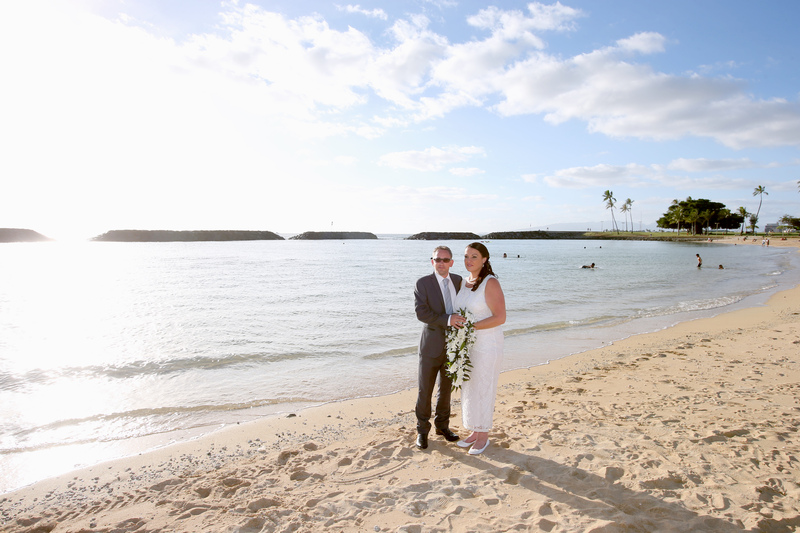 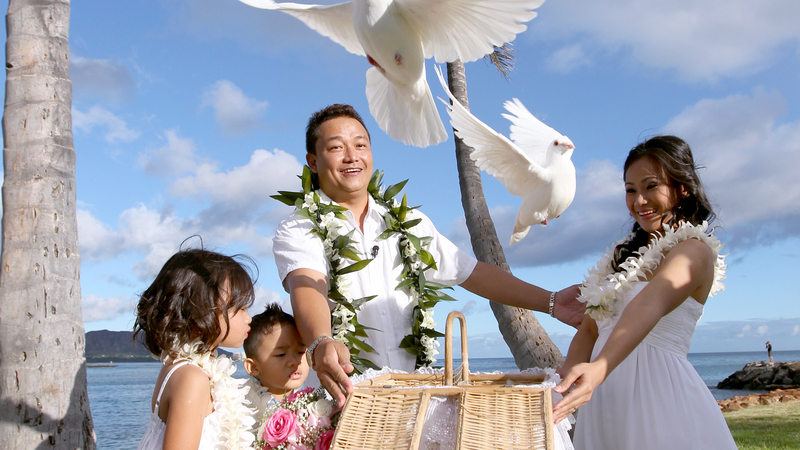 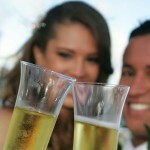 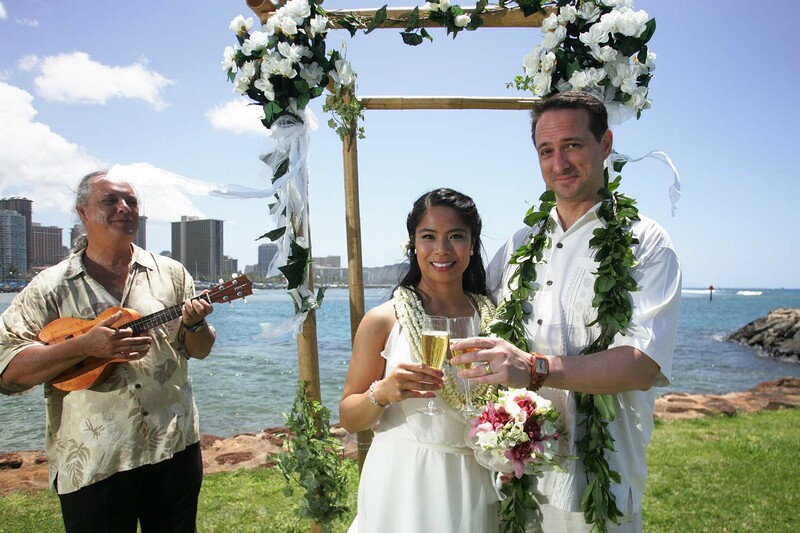 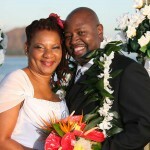 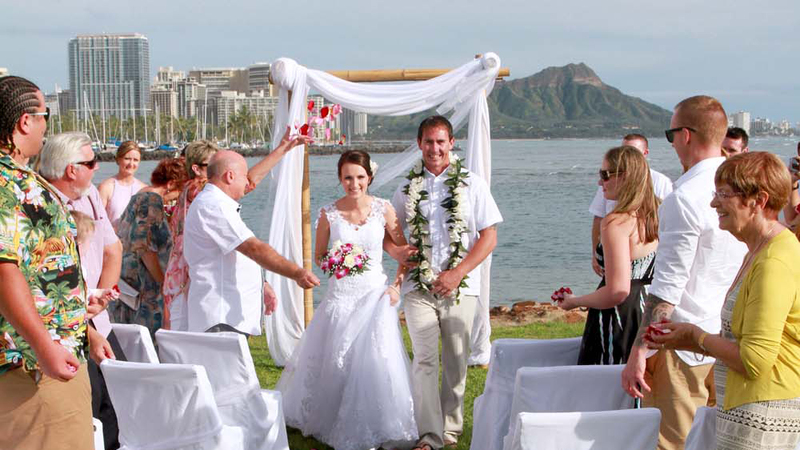 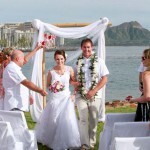 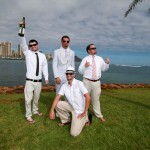 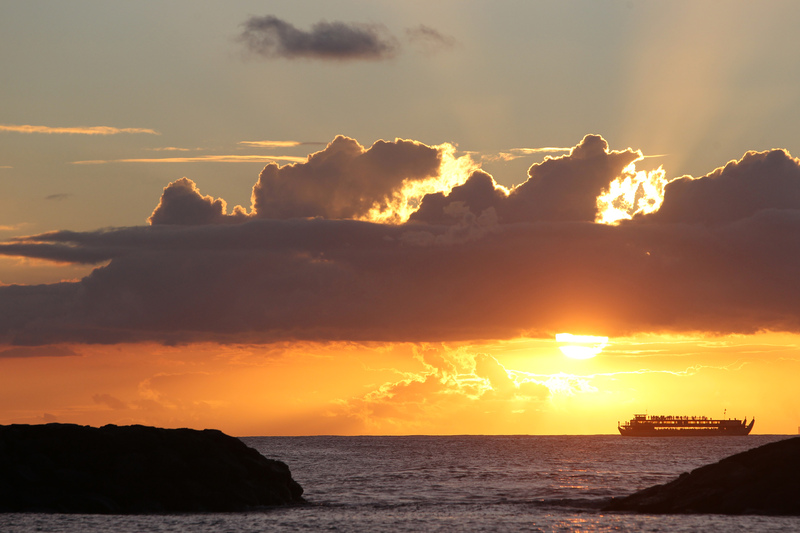 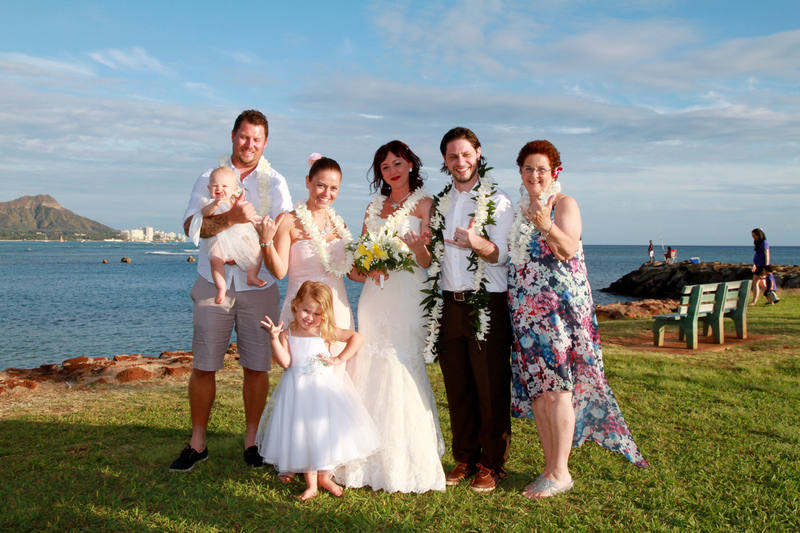 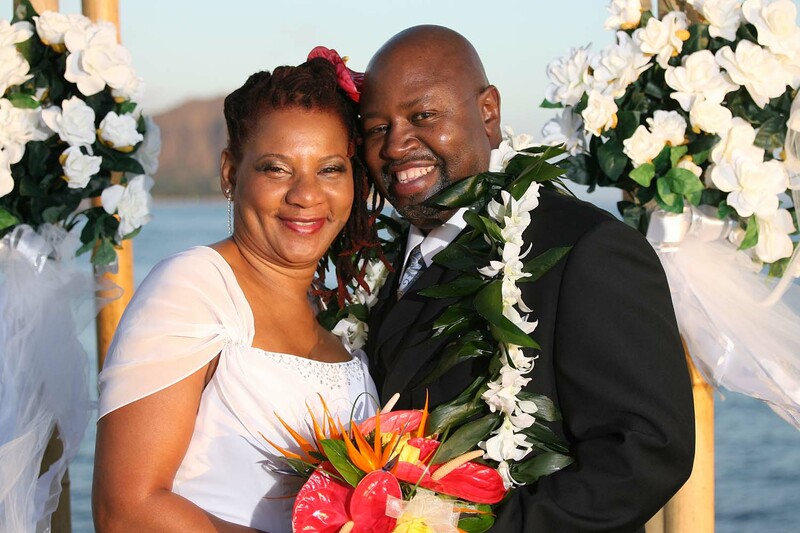 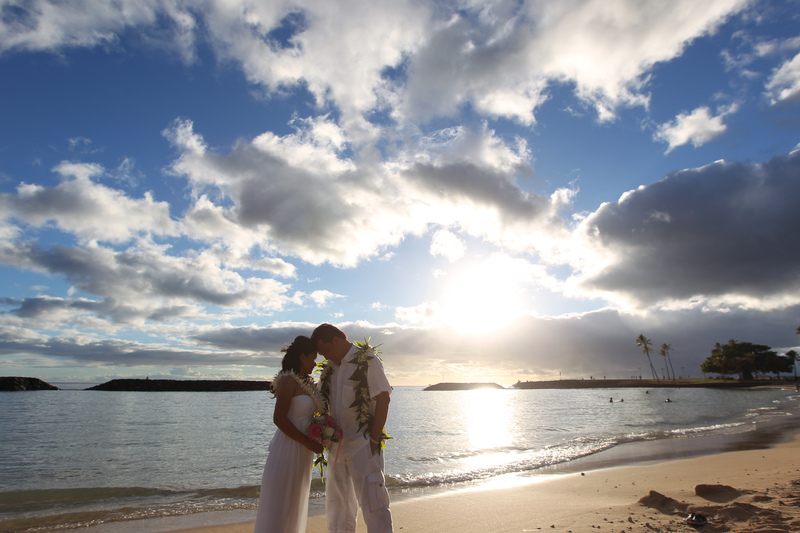 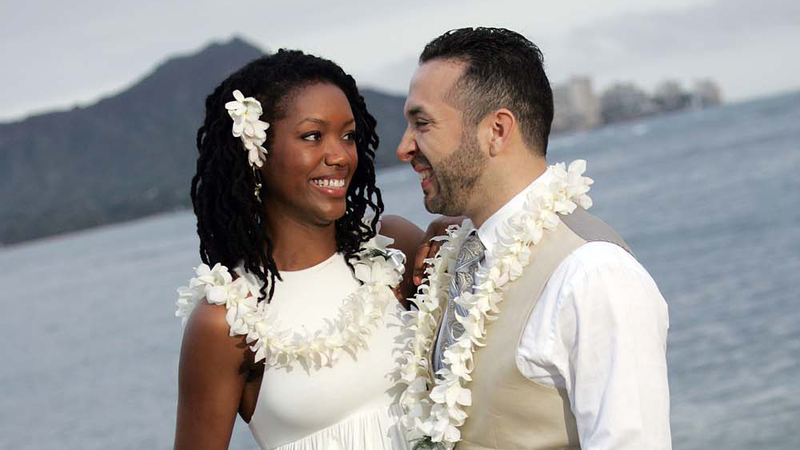 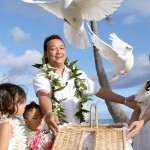 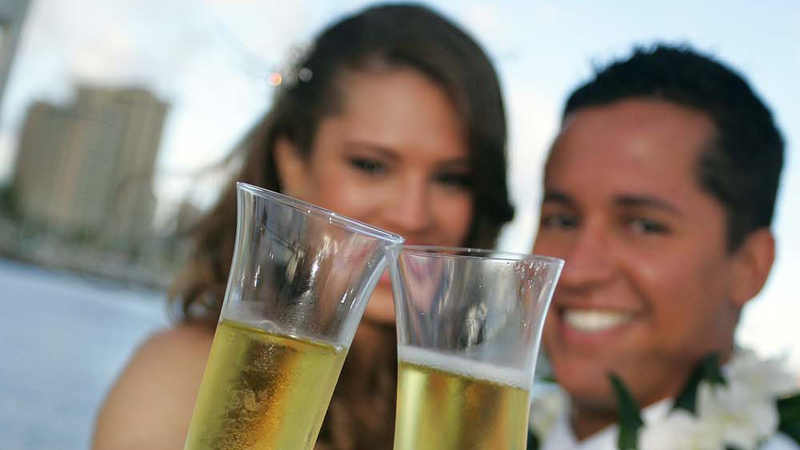 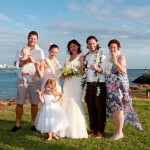 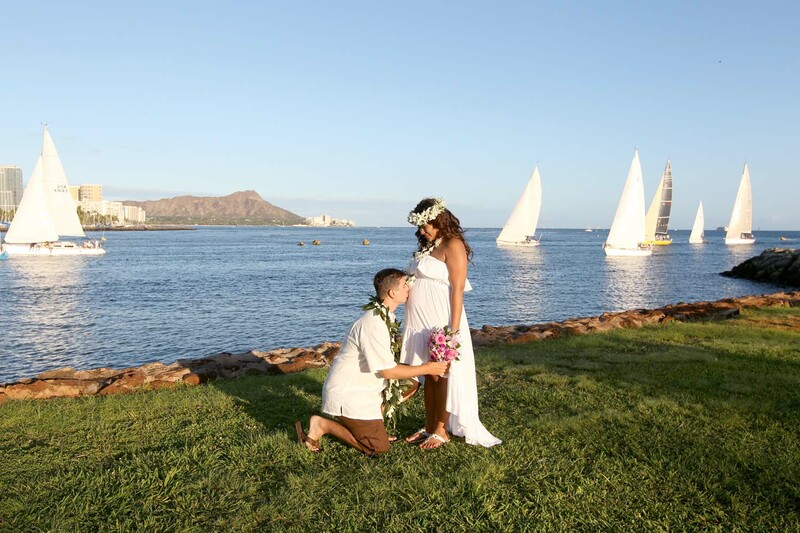 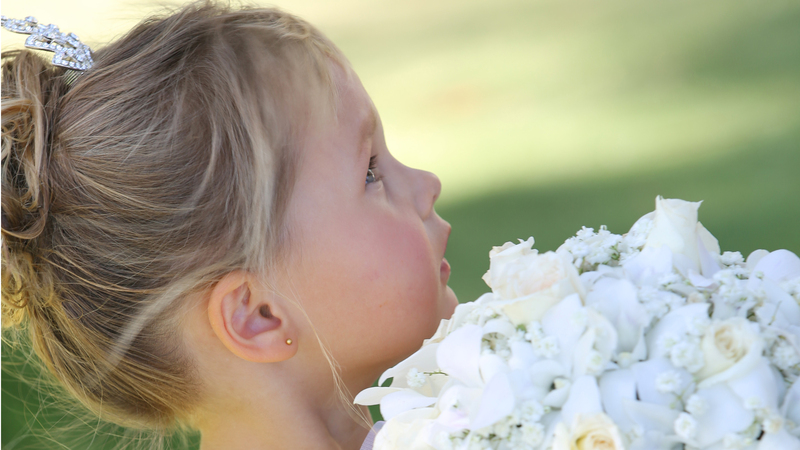 Feel the charm of Hawaii as your Hawaii wedding limousine enters the park of Magic Island! 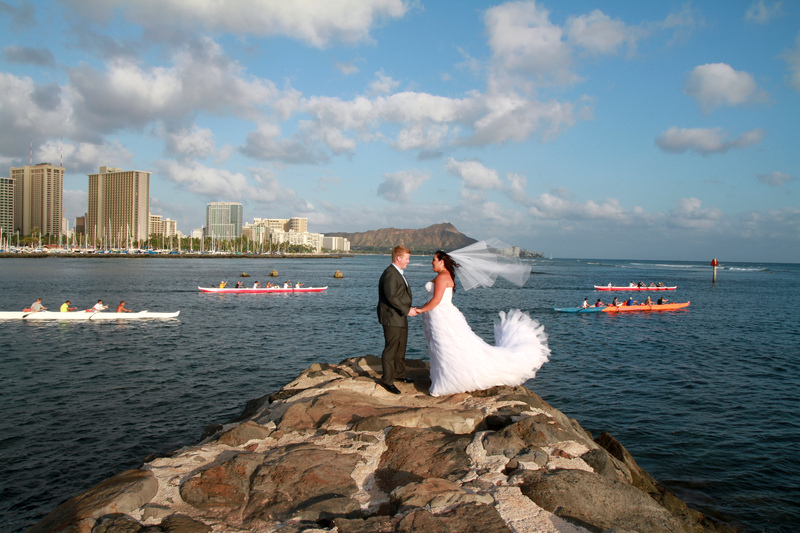 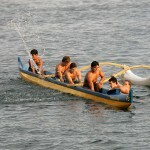 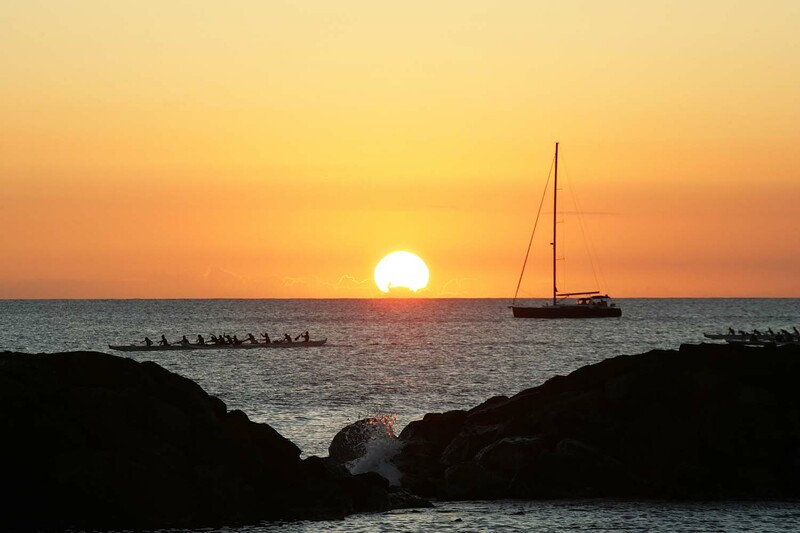 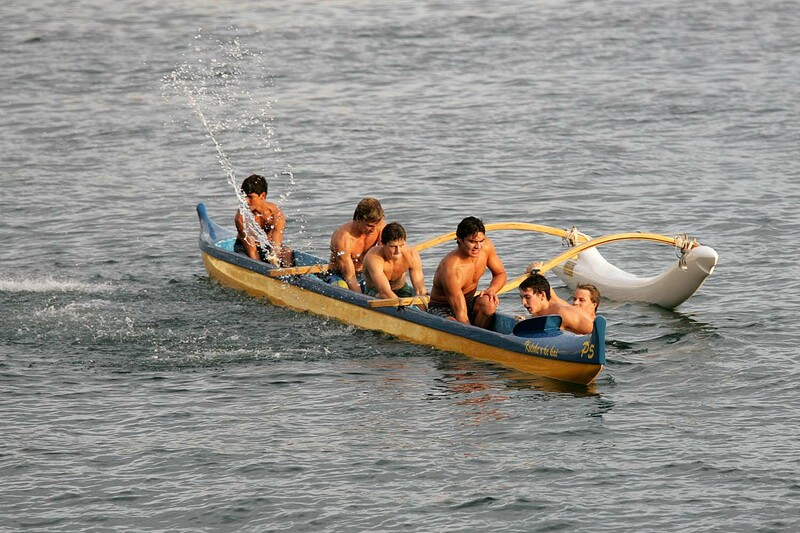 You pass the sailing clubs, the rows of long canoes, and view the crescent shape of famous Ala Moana Beach with its clear, calm turquoise waters. 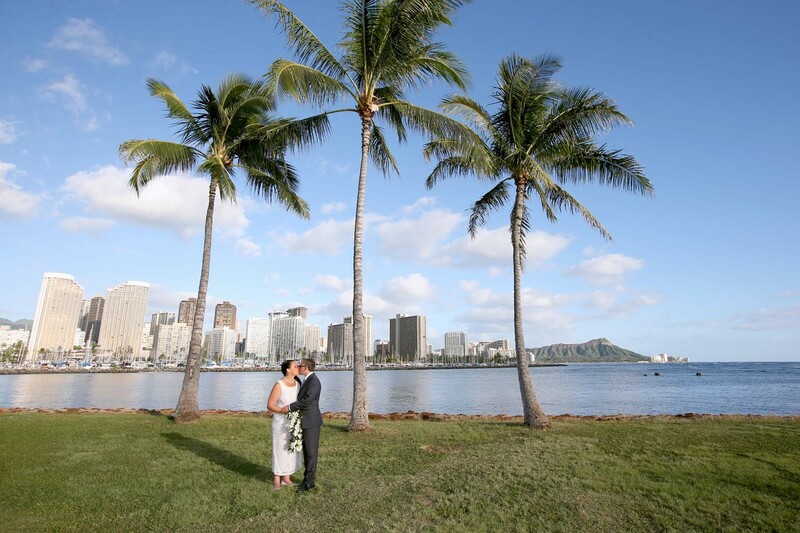 This beautiful park surrounded by ocean and palm trees, is a favorite for tropical Hawaiian wedding ceremonies any time of day, but especially for sunset. 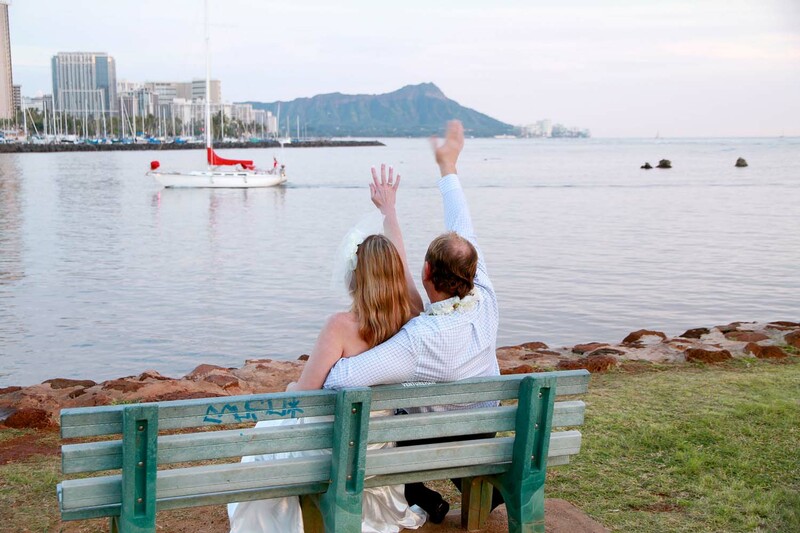 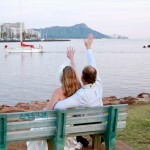 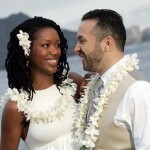 One of our favorite Hawaii ceremony locations is at the end of the park with amazing views of Diamond Head, lots of ocean with sailboats, surfers and long canoes. 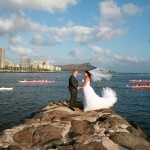 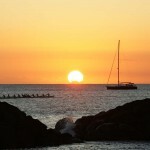 All this and a convenient, distance from Waikiki. 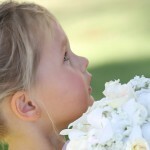 Everyone's favorite! 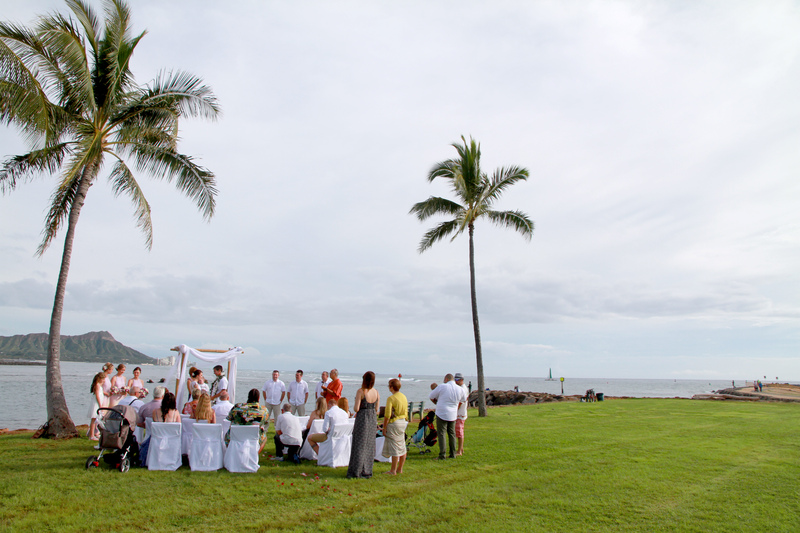 Suggestion: A beautiful location for the Wedding Arch!